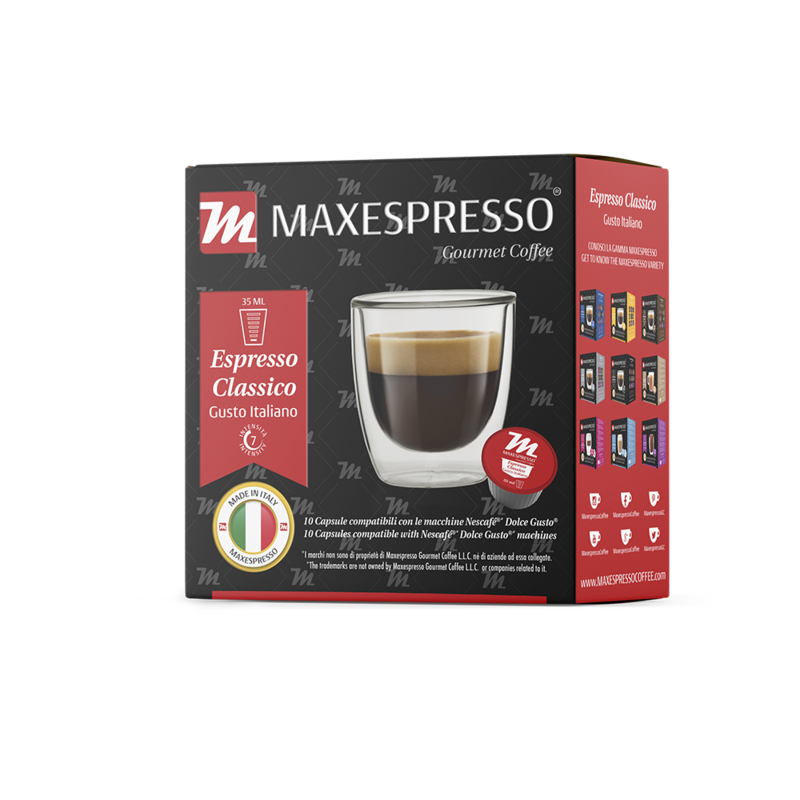 Our Maxespresso Gusto Italiano capsules need this ally to make you taste all their variety of flavours in the most practical and delicious way. For lovers of espresso and coffee with milk in seconds, our milk and coffee capsules are the perfect combination of flavour and speed. 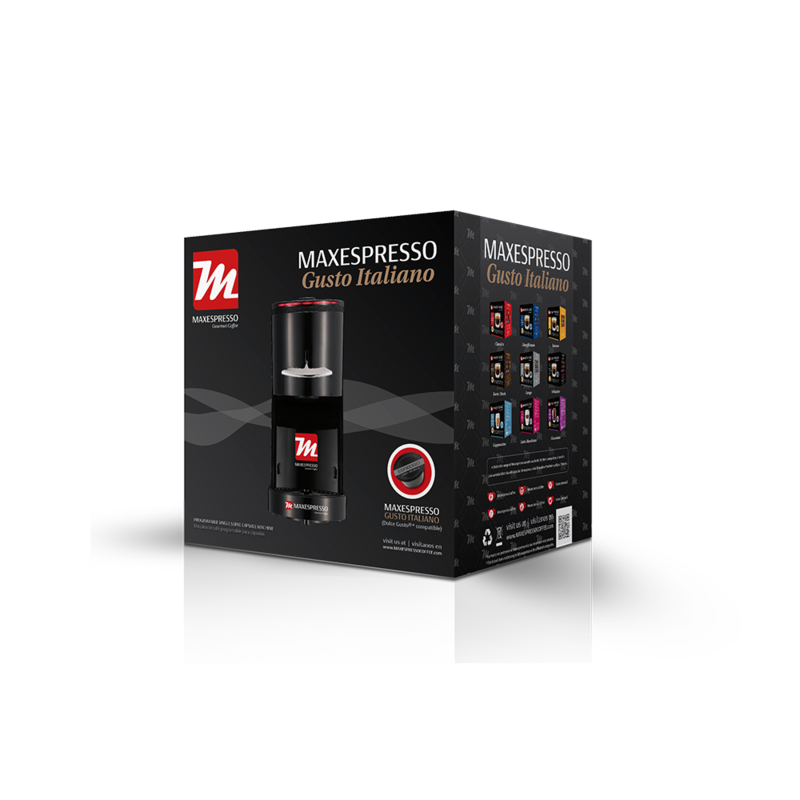 The Maxespresso Gusto Italiano is designed to work with our Maxespresso Capsules, but also works with all the capsules compatible with Dolce Gusto®*. 0.8 ml tank and water. Height adjustable tray. 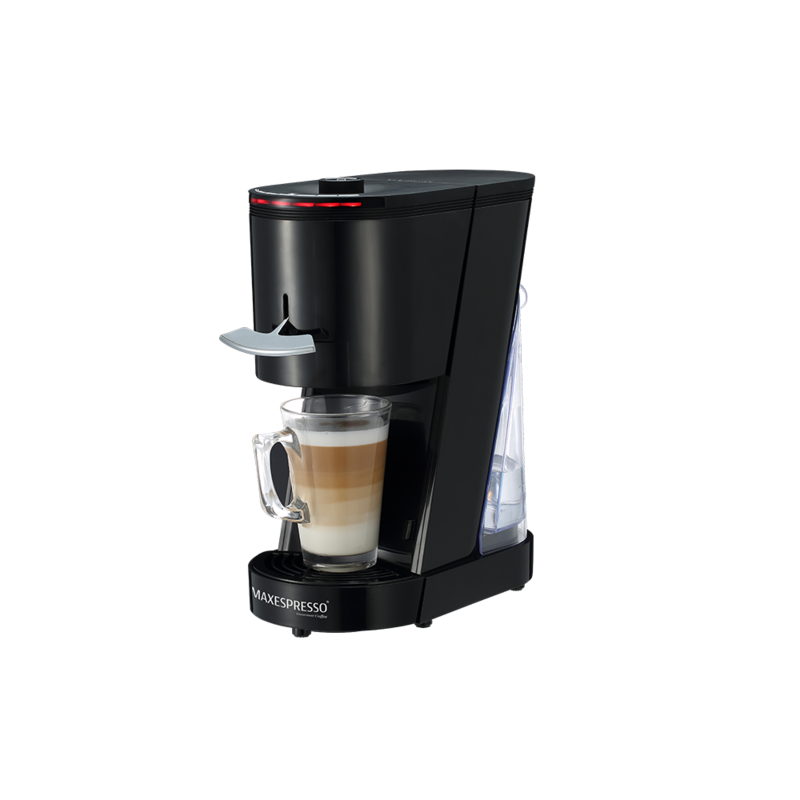 Automatic control of desired coffee quantity (small and large cup) Power saving mode: The machine shuts off after 10 minutes of inactivity. Central tray for capsule with extraction of the content of the capsule direct to the cup. This allows extraction without contamination. Water tank capacity: 0.8 liter. Enjoy the most exquisite espresso and its flavors variety with milk, comfortably at home or office. 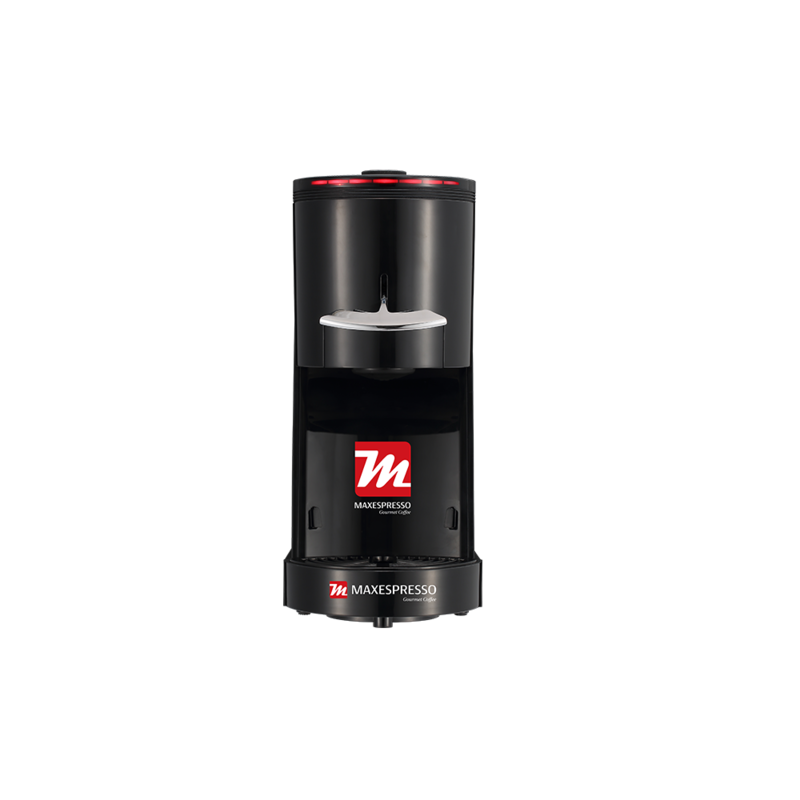 The complete and comprehensive features of our Maxespresso Italian Gusto machine, makes possible to prepare a perfect cup of coffee quickly, simple and on a clean way.